Claims of historical inaccuracy surrounded the 2014 release of “the Monuments Men” movie directed by and starring George Clooney. The main issue raised being that the film failed to adequately highlight the achievements of the group of historians, architects and museum professionals that had banded together to save thousands of priceless artworks during and after World War II. 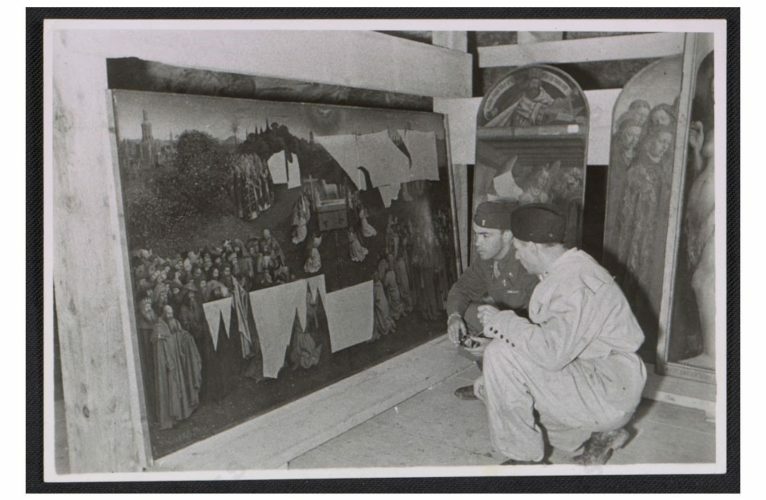 Without the work and dedication of the Monuments Men, it is difficult to imagine where the priceless artworks would be today. In the salt mine at Altaussee in Austria alone, the group uncovered over 6,500 paintings within the 137 tunnels, including works by Michelangelo, Jan van Eyck and Leonardo da Vinci. But their story was forgotten until around 1995 when the research of historian Lynn H. Nicholas uncovered documents that detailed their achievements. But why had the efforts of this group escaped public knowledge? Why had further developments not been made to prevent the extensive destruction of cultural heritage that has occurred since WWII? Having recently attended a lecture by Peter Stone, UNESCO Chair in Cultural Property and Peace at Newcastle University, UK; Chair of the UK Committee of the Blue Shield; and Vice President of the Blue Shield UK, I began to reconsider these questions once again. Entitled “Protecting cultural property in conflict. Critical responsibility or unnecessary, impossible, distraction?” the discussion centred around the contemporary developments regarding the protection of cultural property during periods of conflict. In a setting such as Australia where the threat of warfare appears a distant concept, Stone also highlighted other contemporary issues facing the conservation of cultural heritage globally. The protection of people should always be the first consideration, but it is important to consider the role that the military, education and planning could play in ensuring that methods for the protection of cultural heritage are more effective and that legal controls are enforced. CPP stands for Cultural Property Protection and is the focus of academics and stakeholders as they attempt to create awareness about the importance of cultural heritage. CPP is a multi-disciplinary approach that is increasingly being integrated into military training to ensure the protection of cultural heritage during periods of conflict. The four-tier approach includes; integrating CPP training into all basic military training; developing training specific to a particular location in which the military will be deployed; ensuring protection procedures are carried out throughout the conflict and finally; assisting the local communities with ‘stabilisation’ procedures following conflict. One of the key organisations involved in the creation of programmes such as the four-tier approach includes the Blue Shield Organisation. The organisation has played a key role since 1996 in protecting the world’s cultural heritage threatened from all types of disasters and a sub-branch exists in Australia. Although the threat of warfare may appear distant to Australians, it is important to remember that risks to cultural property take many forms. The increasing threat of climate change calls for the development of disaster preparedness plans and the active engagement of the cultural heritage sector particularly in creating broader awareness of the importance of cultural heritage. Despite the relatively slow progress that was made in protecting cultural property following the achievements of the Monuments Men, the hard work and dedication of organisations such as the Blue Shield organisation have led the way in reigniting these discussions and promoting the active conservation of cultural heritage for future generations. Blue Shield International. ‘The Blue Shield’, n.d.
Jim Morrison. ‘The True Story of the Monuments Men’. Smithsonian, 7 February 2014. https://www.smithsonianmag.com/history/true-story-monuments-men-180949569/. Karl von Habsburg. ‘Introduction’. In Cultural Heritage in the Crosshairs: Protecting Cultural Heritage During Conflict, edited by Joris D. Kila and James A. Zeidler, 1–5. Leiden: Brill Publishing, 2014. Peter Stone. 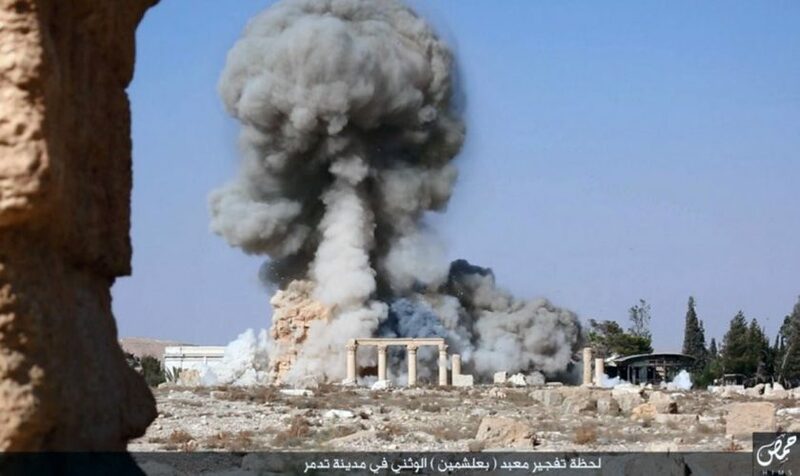 ‘Protecting Cultural Property in the Event of Armed Conflict: A Heritage View’. Pandora’s Box 24 (2017): 25–40. ‘Peter Stone Sydney’. Blue Shield Australia, n.d. http://blueshieldaustralia.org.au/news/professor-peter-stone-talks-in-sydney-hobart-and-canberra/attachment/peter-stone-sydney/.